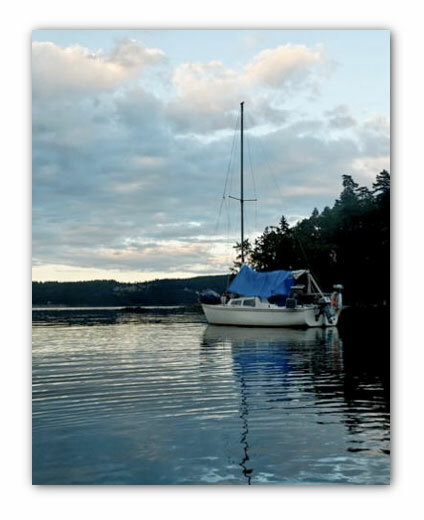 I’m on the hunt for moorage for Madsu, my 22 ft. Catalina swing keel sailboat. I’m trying to find moorage on Vancouver’s north shore – either in West Vancouver or North Vancouver. Last year I was in Thunderbird Marina and loved it there, but they’re doing a big reno to the docks there and aren’t optimistic they’ll have space – apparently they’re going to be short berths for some of their long term costumers. I’m on waiting list there and at Sewell’s in Horseshoe Bay, as well as at Burrard Civic in Vancouver. If you have private moorage or access to moorage, let me know. I’m willing to pay market rates. We don’t need any fancy amenities. Madsu is 22 feet, just a bit under 8 feet in the beam, and draws only 2 feet with the keel up so can tuck in to shallow moorage. We’re quiet and neat. Email me if you know of anything. Thanks.